Bihar is a state in Northern India. It lies on the Gangetic plain, with Uttar Pradesh to its west, West Bengal to its east, Jharkhand to its south and Nepal to its north. The Bihar plain is divided into two unequal halves by the Ganges, which flows through the middle from west to east. Bihar is one of India’s poorest states, with stark social inequality. 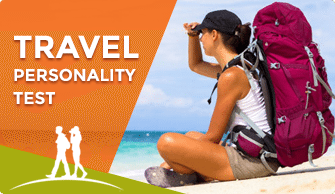 Travelers may find the hassles common to traveling everywhere in India are more pronounced here. Bihar has a majority rural population and the society is mainly agrarian. Northern Bihar is prone to perennial flooding. The state has seen mass migration out of the state in the last few decades and these ethnic Biharis living in other states of India are victims of racist hate crimes and prejudice. Ancient Bihar was the birthplace of the Maurya Empire, the largest ever to rule the Indian subcontinent, and the site of the Buddha’s enlightenment. Bihar can be grouped into four regions based on river boundaries. These four regions have very similar languages – Angika, Bhojpuri, Magadhi, and Maithili spoken in respective regions. The languages are collectively known as ‘Bihari’ and are decedents of the ancient language of Magadhi Prakrit, the language spoken by the Buddha and the language of the ancient kingdom of Magadha. The capital city is the second largest metropolis in Eastern India. Today, it has become one of the fastest growing cities in India. Once called Patliputra the capital of Bihar, is among the world’s oldest capital cities with unbroken history of many centuries as imperial metropolis of the Mauryas and Guptas imperial dynasties. 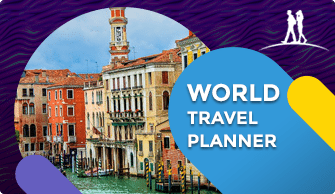 With real estate booming at a dizzying pace, shopping malls, theaters, new businesses, food joints it carries all ingredients for a lively city life, and a tourist haven-to-be. Gaya is a major pilgrimage city in the state for Hindus and Buddhists. It is mainly visited for doing Pind Dan (funeral offerings for the benefit of the soul of the deceased) and for visiting Bodhgaya and Vishnupad temple. 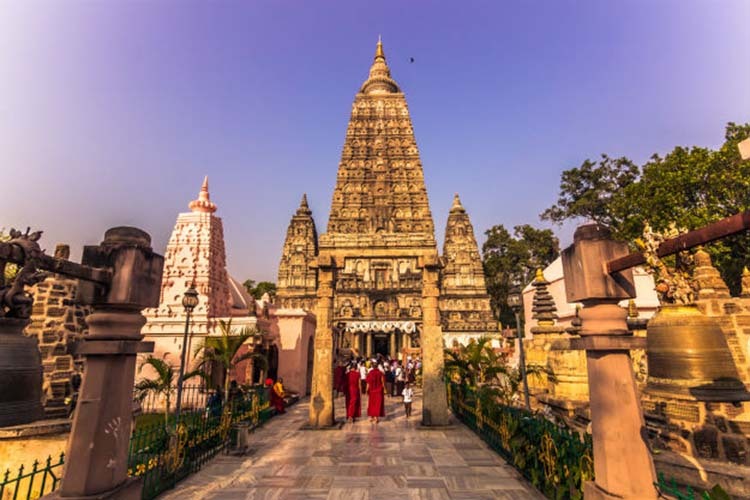 The main attraction in the area is the Buddha Temple in Bodhgaya, which is where Buddha attained enlightenment. Buses are common from Gaya to Bodh Gaya during peak season. This is a village in West Champaran has a Valmiki Ashram, which is said to be the place where Maharshi Valmiki was living. 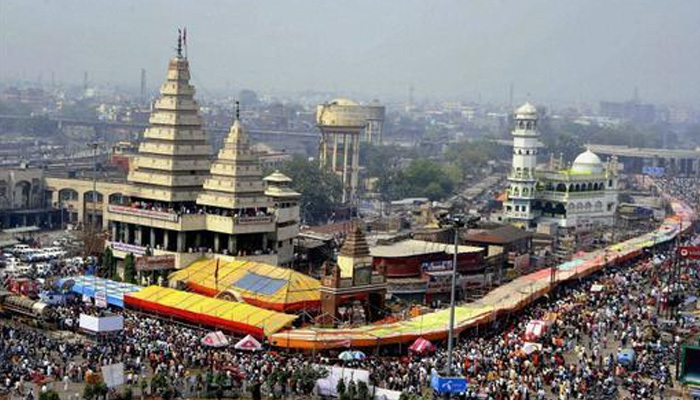 On the occasion of Makar Sankranti every year a fair is held on the bank of River Gandak. This is the headquarters of Nalanda district. This town is known as Bihar Sharif, owing to its many Muslim tombs that still retain traces of its former importance as a Muslim pilgrimage. There is a hill called Pir Pahari, whose summit is the dargah or mausoleum of the Saint Mallik Ibrahim Bayu, round which are ten smaller tombs. It is a large village of historical antiquities. In the early ages, Maner was a center of learning and it is said that grammarian Panini, and also Bararuchi, lived and studied here. 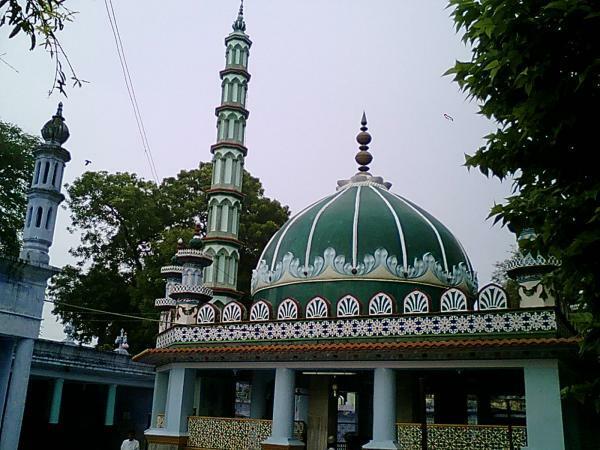 Maner contains two well-known Muslim tombs, that of Shah Daulat or Makhdum Daulat, known as Chhoti Dargah, and the other that of Sheikh Yahia Maneri or Makhdum Yahia, called the Bari Dargah. The building is an exceptionally fine one, with walls containing carvings of great delicacy and high finish. A great dome crowns it, and the ceiling is covered with carved inscriptions from the Quran. 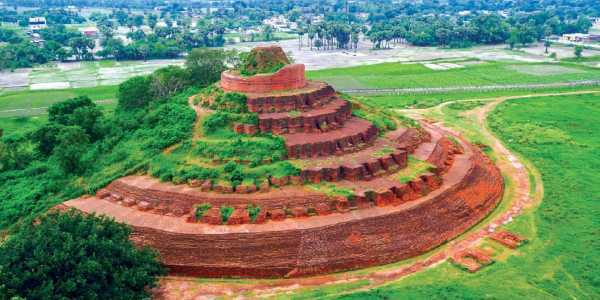 This Stupa has a lofty brick mound capped by a solid brick tower of considerable size, which itself is the remain of a Buddhist Stupa. The mound is a ruin with a diameter of 68 feet at its base and a total height of 5½ ft. originally it was crowned by a pinnacle which must have stood 80 or 90 ft above the ground. It is the highest Stupa found in the country with a height of about 104” from the base. 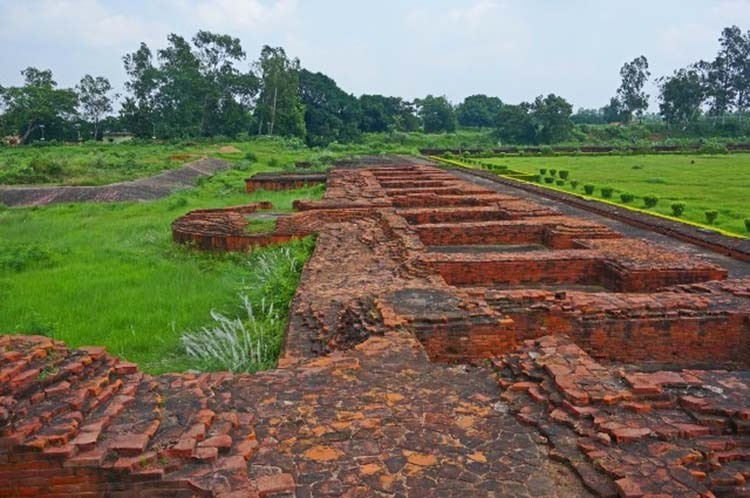 A great center of Buddhist learning, Nalanda came into prominence around the 5th century BC and was a flourishing university town with over ten thousand scholars and an extensive library. Rajgir,103 km from Patna, was the ancient capital of Magadha Empire. Lord Buddha often visited the monastery here to meditate and to preach. Rajgir is also a place sacred to the Jains Since Lord Mahavira spent many years here. Situated about 10 km North West of Piro, in Bhojpur, the village derives its name from Tarka, a she-demon killed by Lord Rama. There is an old tank in the village that is said to be the wrestling ground of Tarka. It is a waterfall in Gobindpur police-station, about 21 miles away from Nawada. Just below the fall, there is a deep reservoir natural in character. 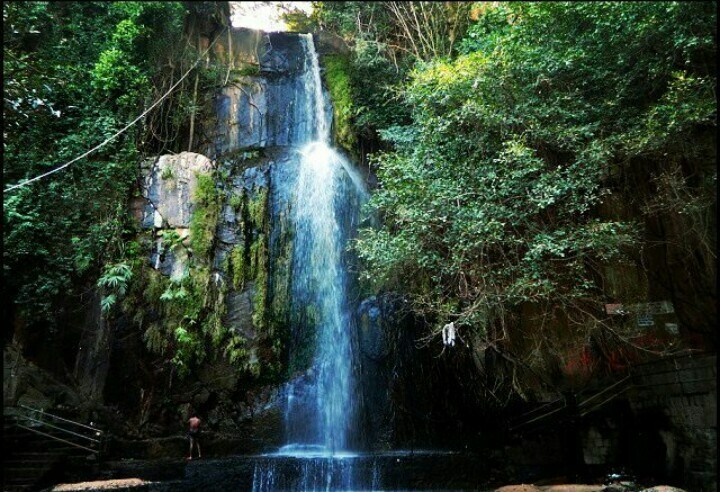 The fall is about 150 to 160 feet, from the ground level. The scene is panoramic due to the all-around green forest area, which is very pleasant to the eyes. A legend is prevalent that in Treta Yuga a king named was cursed by a rishi and had to take the shape of a python and lived here. The king after getting rid of the curse proclaimed that one who would bathe in the waterfall will not take the yoni of a snake and that is why a large number of people from far and near bathe in the river. 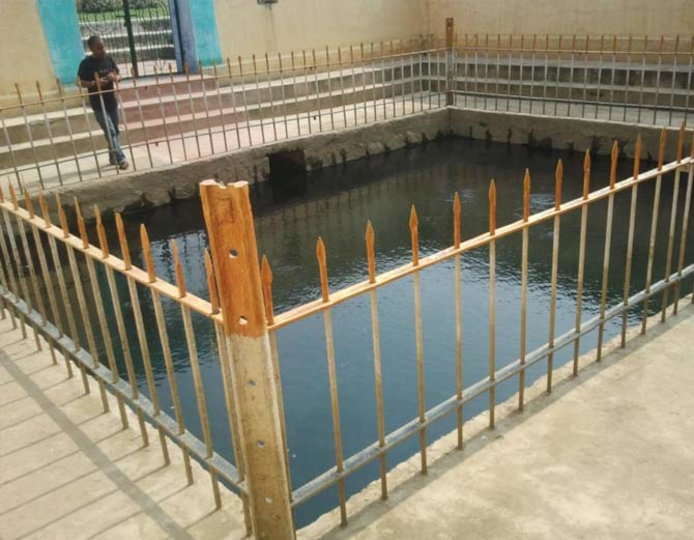 A village about 6 km East of the Munger town contains a hot spring known as the Sita Kund spring, which is so called after the well-known episode of Ramayan. Ram, after rescuing his wife Sita from the demon king Ravan, suspected that she could not have maintained her honor intact, and Sita, to prove her chastity, agreed to enter a blazing fire. She came out of the fiery ordeal unscathed, and imparted to the pool in which she bathed, the heat she had absorbed from the fire. The hot spring is now enclosed in a masonry reservoir and is visited by a large number of pilgrims, especially at the full moon of Magh. Vaishali was one of the earliest republics in the world (6th century BC). It was here that Buddha preached his last sermon. 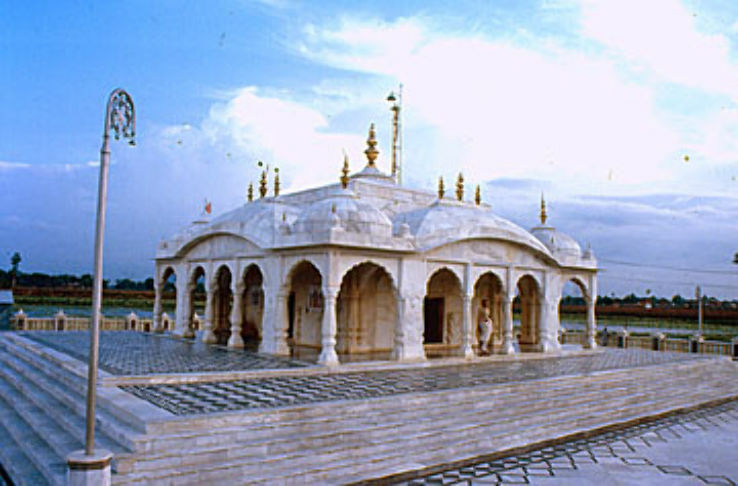 Vaishali, the birthplace of Lord Mahavira is also Sacred to Jains. A National Tiger Reserve located in the state. It is the best place to visit if you want to see tigers in its natural environment. Located at a distance of 56 km from Munger, Bhimbandh Wild Life Sanctuary is situated in the south west of Munger District. 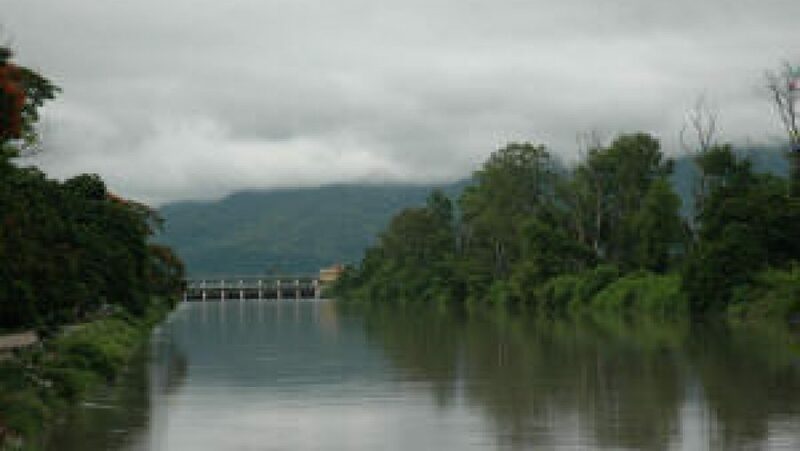 The forests cover an area or 681.99 sq.km on the hills and undulating tract of Kharagpur Hills. Charterer flights — Approx. $350 per hour (three seats) for tourism and getting around. Chhath — Chhath (also called Dala Chhath ) is a Hindu festival, unique to Bihar, Jharkhand state, India and Terai, Nepal. This festival is also celebrated in the northeast region of India, Madhya Pradesh, Uttar Pradesh, and some parts of Chhattisgarh. It is an ancient and major festival. 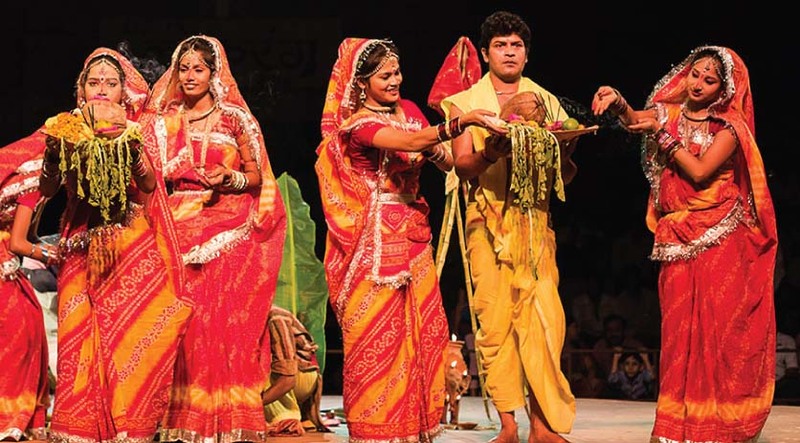 Vaishali Mahotsav — in the month of April every year at Vaishali it is a big festival where hundreds gather to celebrate the Mahotsav. Bihar has a glorious past. Bihar was known as Magadha in ancient times. It was a center of power, learning, and culture. The Maurya empire as well as one of the world’s greatest pacifist religions, Buddhism, arose from Magadha. Many important non-religious books like Arthashashtra and Kamasutra were composed here 2000 years back. Vaisali, one of the first known republic, existed here since before the birth of Mahavira (599 BC). The state suffered immensely due to Hunnic and later Muslim invasions, and the old traditions of culture and learning were almost lost by the end of the 12th century. 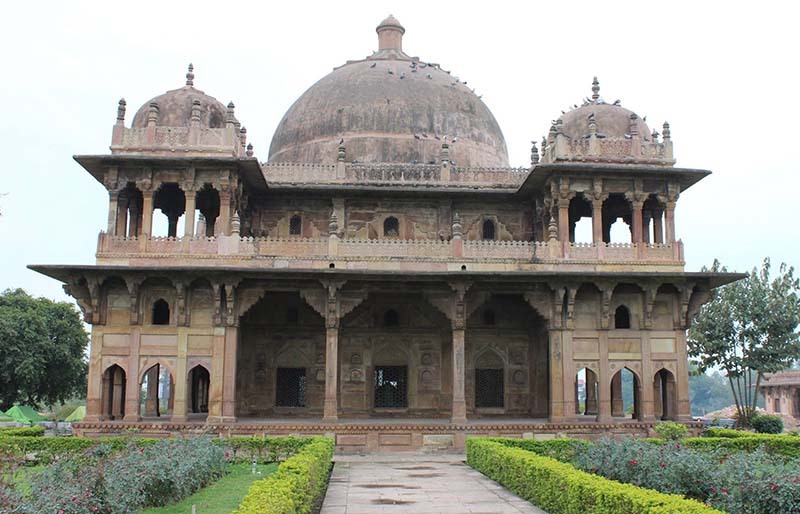 Muhammad Bin Bakhtiar Khilji in 12th century C.E. destroyed many of the viharas (Buddhist sanghas) and the famed universities of Nalanda and Vikramshila. Thousands of Buddhist monks were massacred. 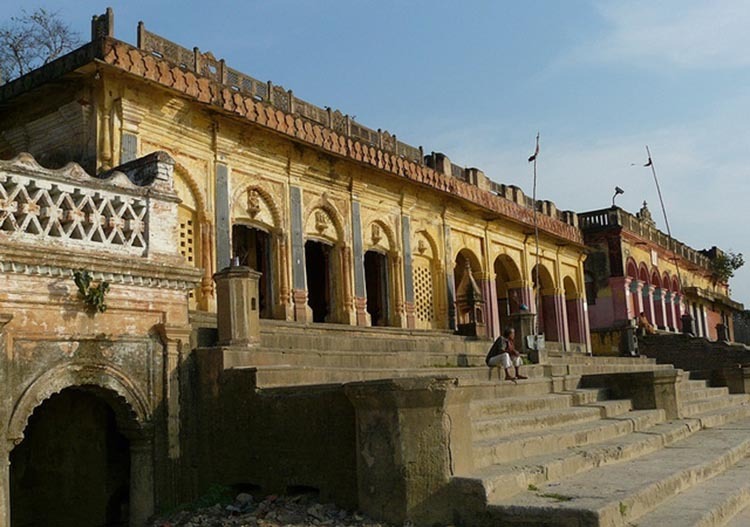 The town of Bihar still exists is also known as Bihar-Sharif, which is located in Nalanda District, near the famous ruins of the Nalanda University. Some dishes which Bihar is famous for, include Sattu Paratha, which are parathas stuffed with fried chickpea flour, Chokha (spicy mashed potatoes), Fish curry and Bihari Kebab, Postaa-dana ka halwa. Chiwra (Chooda or Chora) – beaten rice, served with a coat of creamy curd and sugar or jaggery. In winters, this is mildly baked and accompanied with a thick spicy preparation made of peas and onions. Dhuska – a deep-fried item prepared from a mixture of powdered rice and ghee but is salted. Ghugni – It is a preparation made of grams soaked (either lightly/overnight)in water and then sauteed in mustard oil in a wok. Kadhi Bari – these fried soft dumplings made of besan (gram flour) are cooked in a spicy gravy of yogurt and besan. It goes very well over plain rice. Khichdi – Mix of Rice, Dal, and several Vegetables; steamed together to give a distinctive taste of different ingredients combined in one dish. It is often topped up with ghee. 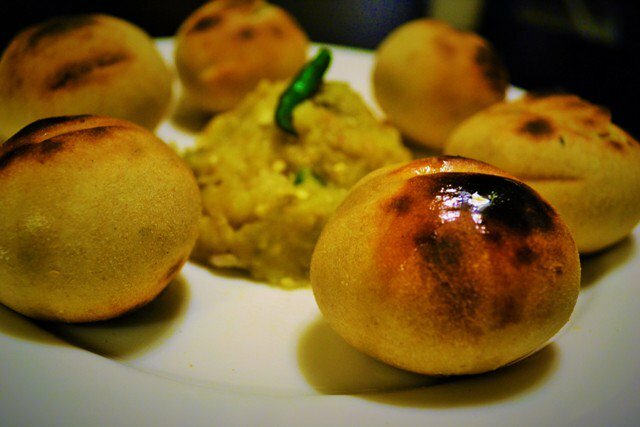 Litti – Powdered baked gram is mixed with chopped onions, green chilies, lemon juice, coriander leaves. This mixture is filled inside atta and either barbecued over coal or deep fried with oil. Best accompanied with Ghee, curd and chokha and baigan bharta. Pittha – It is something like momos. It could be either salty or sweet. It is either a semi-circular/ball shaped preparation made of crust made of soft rice flour and filled with preparations made of Channa Daal lentil paste, or Poppy seeds & Gur (Jaggery) and then steamed in water/ milk (allowed to thicken). Sattu – powdered baked gram, a high energy giving food usually mixed with water or with milk. Sometimes, sattu mixed with spices is used to prepare stuffed ‘chapattis’, locally called as ‘makuni roti’. Aam Jhora Green mango drink, prepared by boiling or baking green mango and mixing it with water, salt, chili, cumin, and clove leaves. It is generally served during the summer season for its medicinal value for fighting against heat waves. Bael ka Sarvat Prepared from Bael (Aegle marmelos)added with sugar/salt for taste. Bhang the leaf and flower of the Cannabis sativa plant, is consumed as a beverage is in many forms, the simplest of which is made by pounding bhang leaves with a little black pepper, sugar and mixing with water. Taari Natural drink collected from the tree of Taar, very common tree in Bihar. Lassi A sweet/ salty drink made of yogurt, sugar, dry fruits and lots of cream. It is also a preferred summer drink. 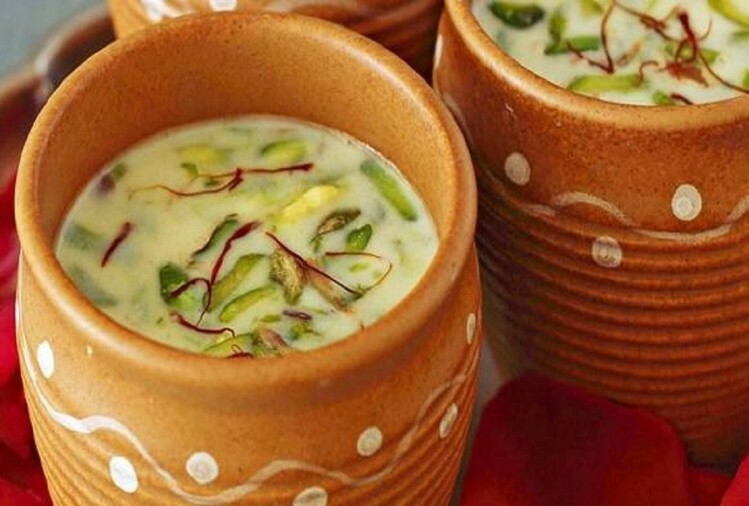 Thandhai – a sweet drink made of yogurt, spices, dry fruits etc. It is generally served during the festival, especially on Holi. Situated about 5 km north-east of Buxur, this village has a temple of Devi Ahilya. According to the local tradition, it dates back to the prehistoric ages. Legend is that Ahilya was transformed into stone as a result of a curse of her husband, Rishi Gautam and she could be redeemed only when Lord Rama visited her place. In Pawapuri, or Apapuri, 38 kilometers from Rajgir and 90 kilometers from Patna, all sins end for a devout Jain. Lord Mahavira, the final tirthankar and founder of Jainism, breathed his last at this place. 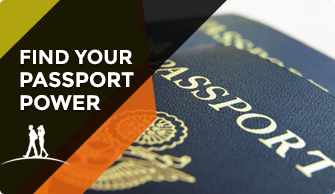 You can get into the state either form a flight or by trains. You can also move from one part of the state to another by train. You can book your ticket from IRCTC. Using cabs is a convenient way to get around once in the city. You can download a smartphone app like Ola or Uber that will allow you to book and pay for cabs. Buses and metro are other options to get around. Although, buses have a complex network they do connect all corners of the city. You need to ask before getting on to the bus to be sure. 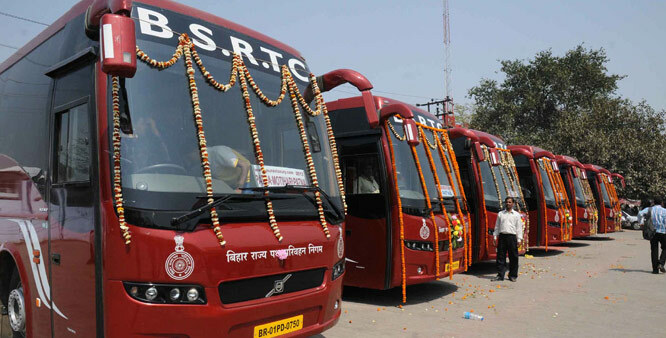 The government bus service provider BSRTC are decent. The state doesn’t have any shortage of places to stay at. 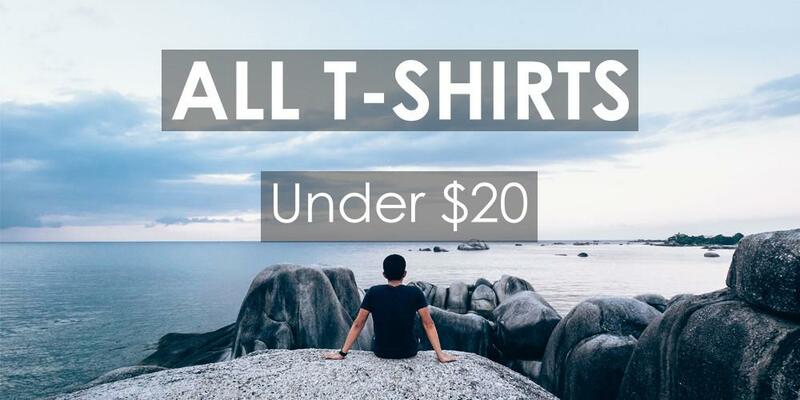 It has places to suit all budgets, from 5-star hotels to budget hostels. Airbnb also is a good option in the city. Bihar has a terrible reputation for crime and banditry (or dacoity, to use the Indian word), with armed bandits recently taking to robbing moving trains, and there were 55 cases of hijackings for ransom (and 2,480 for other reasons!) reported in 2008. The situation is steadily improving, though, with crime statistics for the most serious offenses dropping for the last 3 years in a row and, in absolute numbers, and crime against foreigners remains comparably low compared to states popular with international tourists. So while reality may not be quite as grim as the horror stories you’ll hear from non-Biharis, it’s still advisable to keep a low profile and to avoid overnight travel on the roads. A low-level Naxalite (Maoist Communist) insurgency continues to bubble in the southern parts of the state, but tourists are unlikely to venture into the affected regions. Public transportation systems, like trains and buses, are generally overcrowded. Trains in India are generally prone to theft, so it’s wise to lock your luggage to the seat in the carriage and keep more aware than usual.